She’s a young woman I will always remember. Tracy Yennie. Strong. Determined. Thankful. A redneck. Her word, not mine. 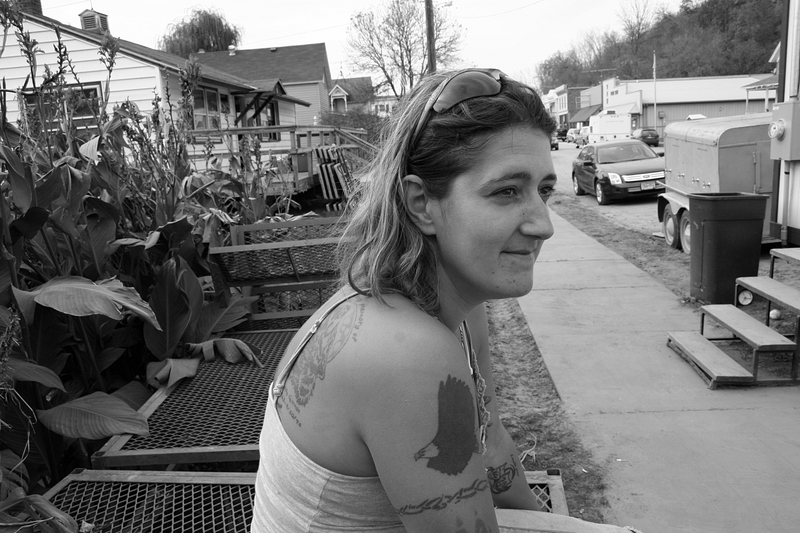 When I met this mother of four young boys in early October 2010, she was hanging out next to the Salvation Army trailer in downtown Zumbro Falls, a small southeastern Minnesota community ravaged by a September 23/24 flash flood. Tracy’s family lost nearly everything, as did many others, and was camping in a shed on their riverside property. When I interviewed Tracy, she was waiting on FEMA. She talked strong, invincible. But I could see the weariness in her eyes, edged by dark circles. I saw beneath her tough veneer. I saw a woman concerned about her future. I wonder sometimes what happened to Tracy and her family. Do they still live in her hometown of Zumbro Falls? Or did the flood force them out? Of all the portraits I’ve taken, Tracy’s ranks as perhaps my favorite. This photo tells the story of one woman dealing with disaster. And beyond Tracy, if you look at the details, you notice steps leading to the Salvation Army trailer. You notice the flowers behind her, still standing after the flood. You notice a business district seemingly unscathed. But if you were to walk the sidewalks, you would see the damage close-up. This photo documents disaster in a personal way. It shows disaster as more than a number or an insurance claim. This image puts a face on disaster. And that is powerful. This portrait is part of a new series, Minnesota Faces, featured every Friday on Minnesota Prairie Roots. DO YOU LIVE in a community where motorists still pull to the side of the road out of respect for the dead and those in mourning? Late this afternoon, as the Parker-Kohl Funeral Home hearse passed my house followed by a trail of vehicles with lights flashing, motorists driving along Willow Street, an arterial road through Faribault, pulled to the curb. That would be drivers traveling in both directions. In that moment, I felt a deep sense of gratitude for these folks who could have hurried along their way, but stopped instead. Thank you. Today you make me especially proud of this community I call home. WHEN THE SON WAS HOME from Boston for holiday break, my husband and I took him downtown Faribault one evening for our favorite local pizza served at the Signature Bar & Grill. He hopped out of the van across the street from the restaurant and promptly pulled out his cell phone, aiming it at the front window of Ron’s Pawn Shop. He was laughing. 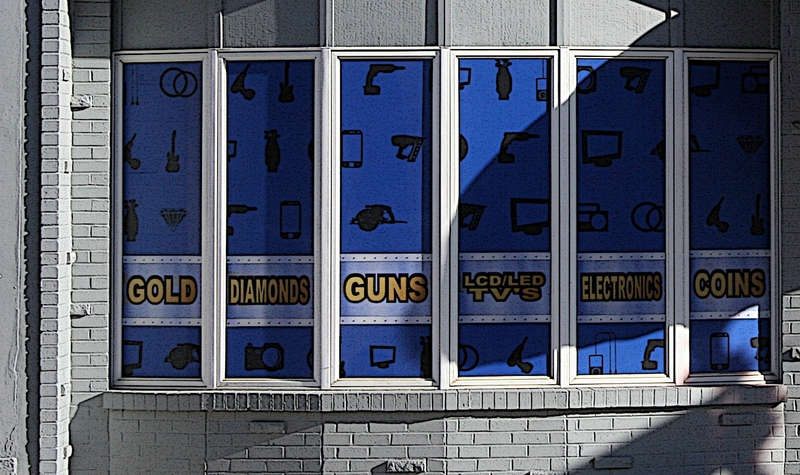 “Golds, diamonds and guns,” he read aloud. I paused, looked. He laughed. Again. 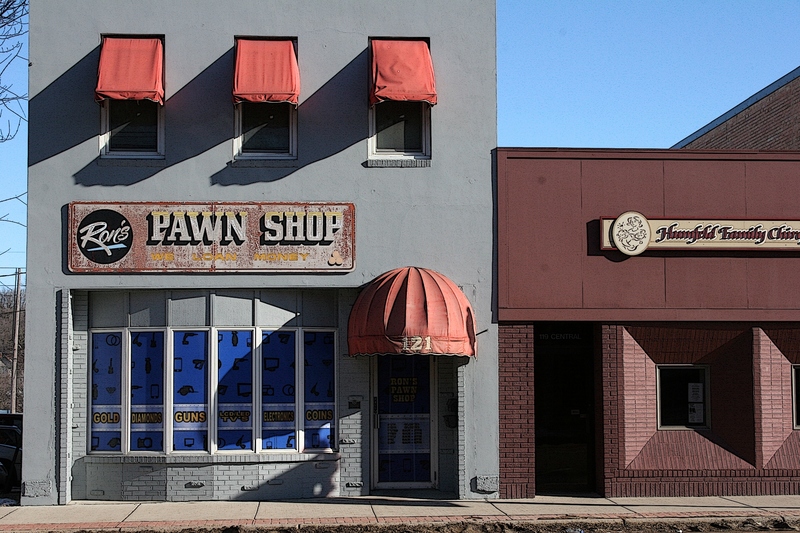 How often had I gone by Ron’s Pawn Shop and never really noticed the signage my college son found entertaining and amusing? Too often. It proved an important lesson to pay more attention to that which I pass often, but don’t always see. 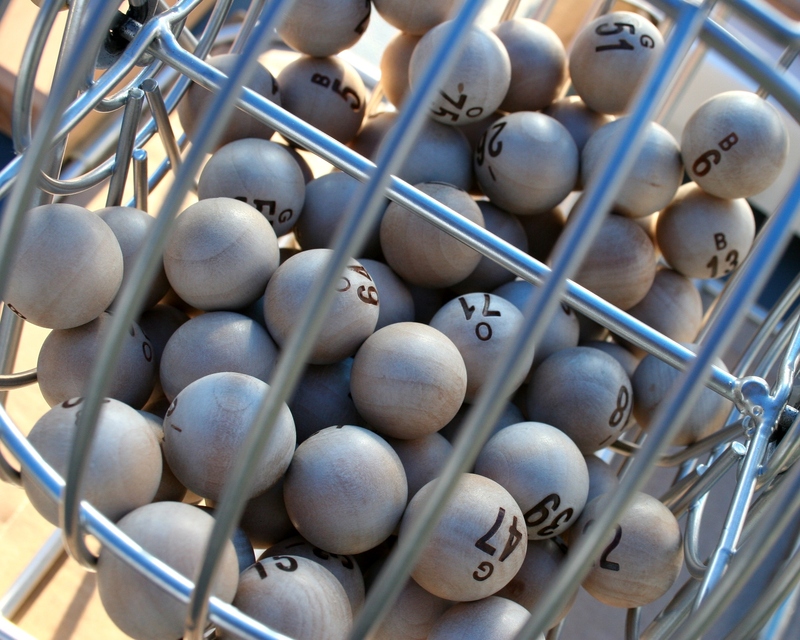 Bingo balls at a Minnesota church festival. Minnesota Prairie Roots file photo. MINNESOTA POET TODD BOSS is one of those creative types, so it seems to me, who is always tumbling ideas around in his head like bingo balls in a cage. For him, poetry has exceeded the B-1 of poetry anthologies, of which he’s published two—Yellowrocket and Pitch. I personally love his work. He grew up on a Wisconsin farm; I can relate to much of his poetry. 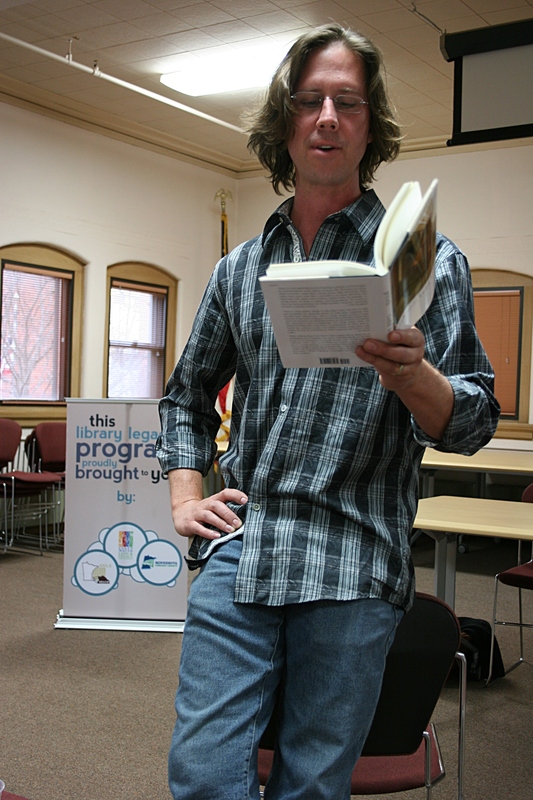 Todd Boss reads from his poetry collection, Pitch, at the Owatonna Public Library. Minnesota Prairie Roots file photo 2013. Boss has rolled out public art projects and Motionpoems. He also writes commissioned poetry. Motionpoems, Boss’ creative endeavor that turns contemporary poems into short films, has launched a KICKSTARTER campaign to raise $20,000 for the weeCinema. Monies will fund conversion of a used 20’x8’x8′ shipping container into a portable mini theater. When I learned last week in an email about Boss’ weeCinema plan, developed in collaboration with weeHouse architect Geoff Warner and The Film Society of Minneapolis St. Paul executive director Susan Smoluchowski, I instantly thought of Little Free Libraries. Another Todd, Todd Bol of Hudson, Wisconsin, co-founded the LFL which has brought mini libraries to communities around the world, including my hometown of Vesta in southwestern Minnesota. I can see Boss’ new theatre concept gaining similar momentum and interest in the art film world. Once this first weeCinema is constructed—and I expect that will happen given Boss’ success at getting projects funded and done—I’d really like to see the mini theatre travel to outstate Minnesota. For those of us who live outside the Twin Cities metro, opportunities to view short art films in our communities are rare. 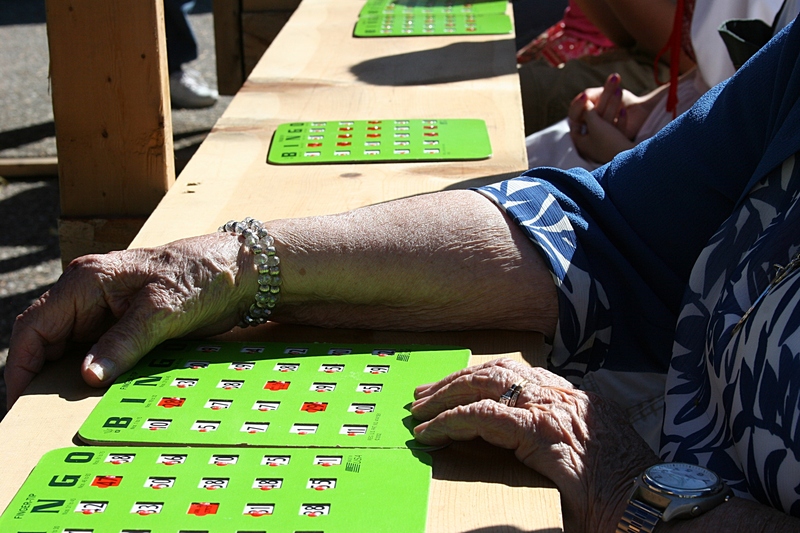 Playing bingo at a Minnesota church festival. We love our bingo. But we’d welcome a weeCinema, too. FYI: To learn more about the weeCinema KICKSTARTER campaign, click here. 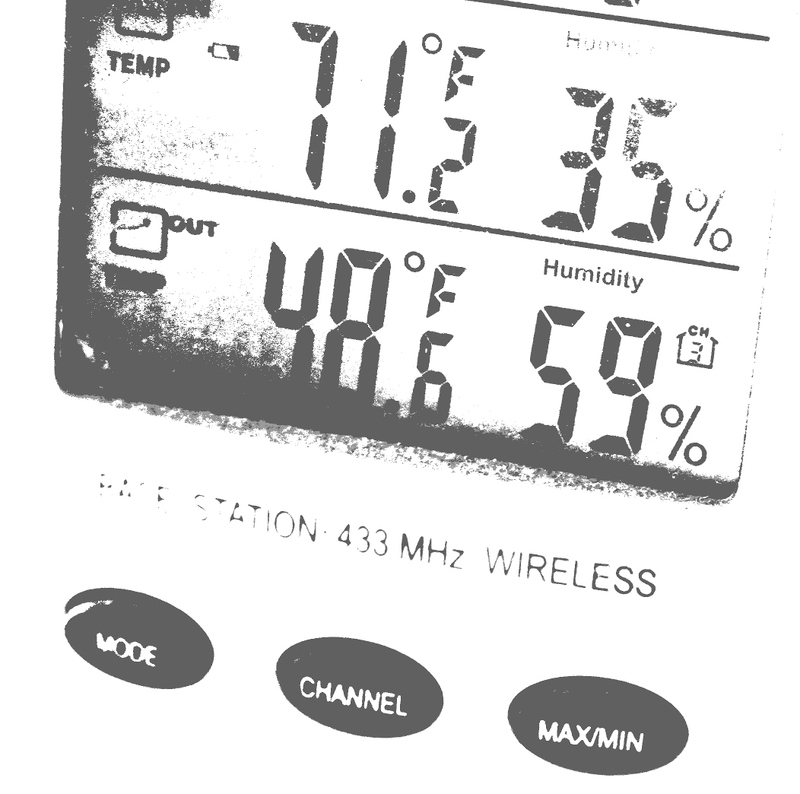 Monday afternoon the temperature in my southeastern Minnesota backyard ranged in the mid to high 40 degrees Fahrenheit. A view from and in my backyard. I swing the kitchen door open to sunshine squinting my eyes and flooding the backyard on a late January afternoon in Minnesota about as glorious as they come. 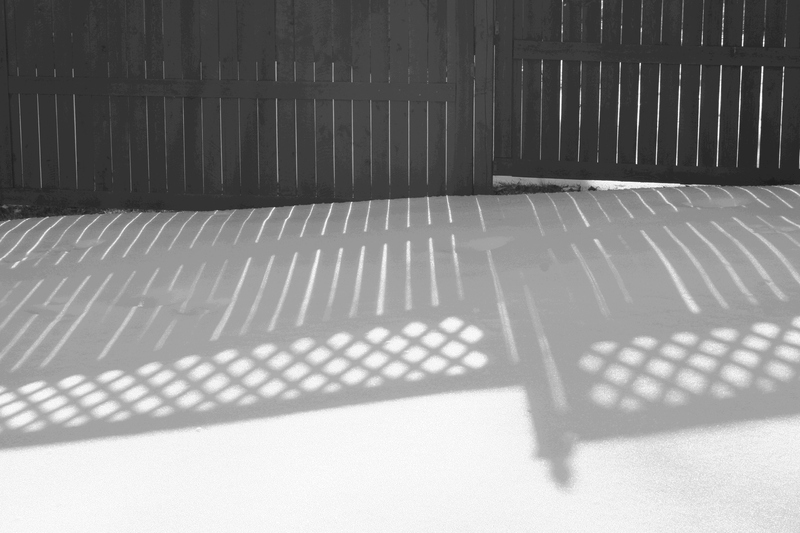 Fence shadows on the snow. Bare-branched trees brace a blue sky. Birds chirp. Water clinks through the down spout in a gentle and methodical rhythm. 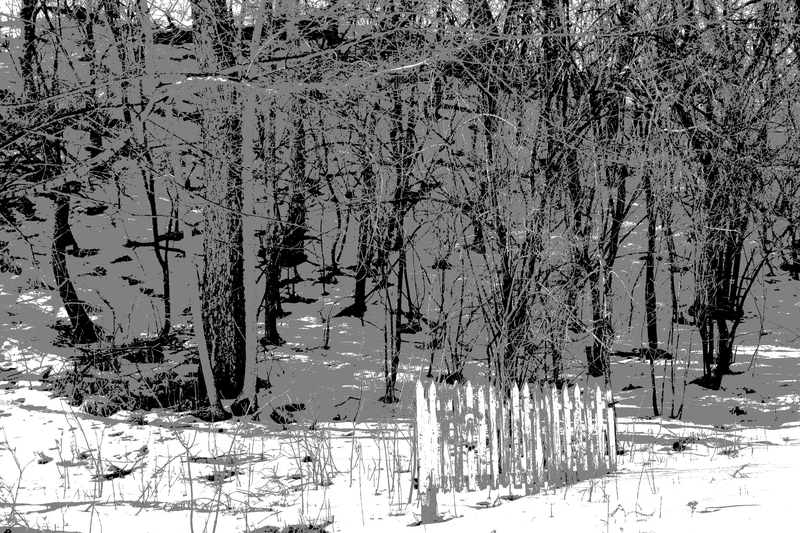 The basket weave of the fence slants shadows across the melting snow. I stand there, just stand there in my backyard, absorbing the warmth and sunshine my soul and body crave. More than 1,000 miles away, my son is among Boston area residents enveloped in a major winter storm. Areas of the city are expected to get as much as 30 inches of snow accompanied by 50 mph winds. The Governor has declared a State of Emergency and issued a state-wide travel ban. Public transportation via the Massachusetts Bay Transit Authority has been suspended for Tuesday. Same goes for Logan International Airport. Tufts University, the college my son attends, is closed today. This mom, who understands winter from a howling wind raging snow across the Minnesota prairie perspective, is grateful. I can only hope that today my 20-year-old sleeps in, stays put in his apartment, realizes the dangers of an historic storm like this, even within the confines of a big city. Southbound on Interstate 35W over the Mississippi River near downtown Minneapolis on a recent Sunday afternoon. 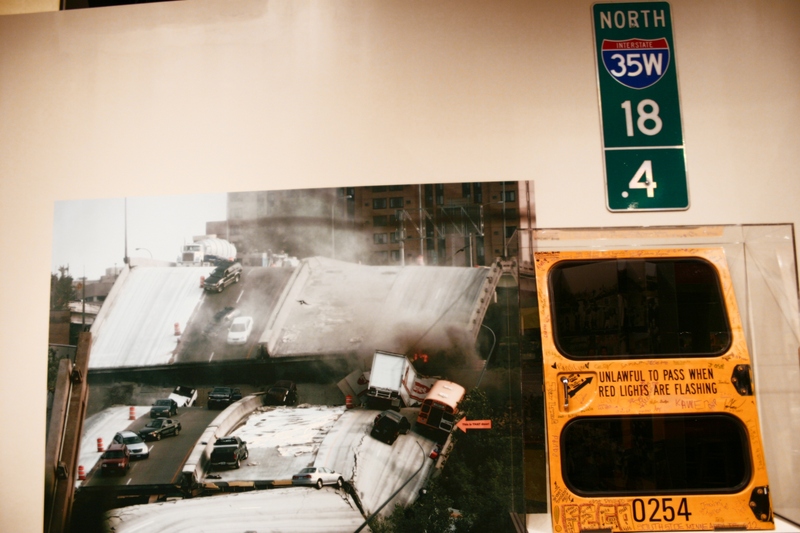 A section of the “then now wow” exhibit at the Minnesota History Center in St. Paul features the 35W bridge collapse. The image shows the collapsed bridge. To the right is the emergency exit door from the school bus that was on the bridge when it collapsed. Everyone on board that bus survived. 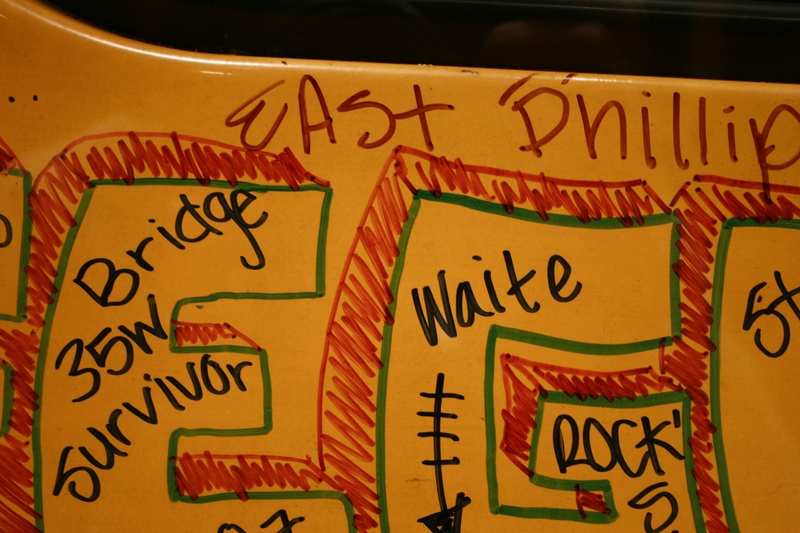 All the children and adults on the bus signed the door on display. Sweet Madeline served Christmas cake at the 2013 Fourth Avenue United Methodist Church Community Christmas Dinner in Faribault. 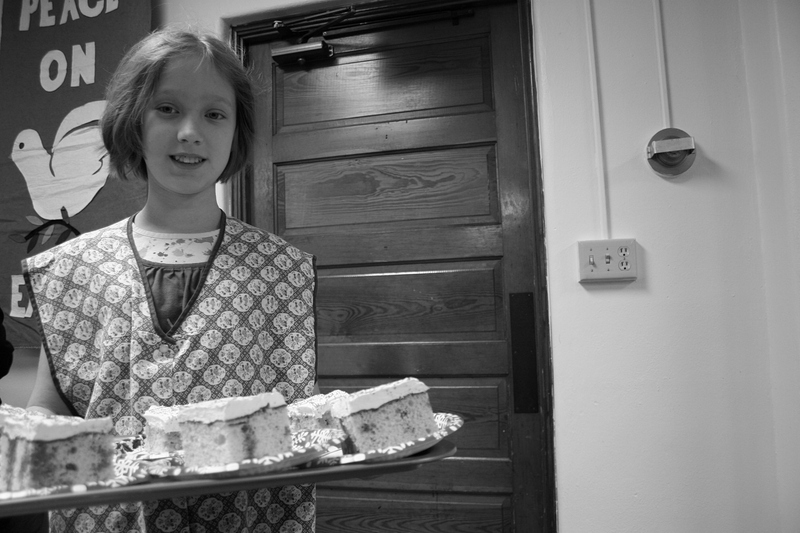 I couldn’t pass on the opportunity to photograph this young volunteer draped in what I expect was a vintage apron, delivering cake on a vintage tray. This isn’t just any old cake. It’s Poke Cake—white cake mix baked, poked with fork tines and flooded with red or green Jell-O, then topped with Cool Whip (or maybe Dream Whip) and sprinkled with red or green sugar. It’s a recipe that’s, oh, so 70s. I purposely framed this portrait to include a section of the holiday banner, the aged door and the light switch. Those, too, are part of this portrait story from a Minnesota church basement.